Given latest models (still waiting for those pesky 11PM models to see if any other changes) our forecast is still mainly on track. The slight concern is a couple of models have shifted the heavier snowfall to the Denver area and largely North. 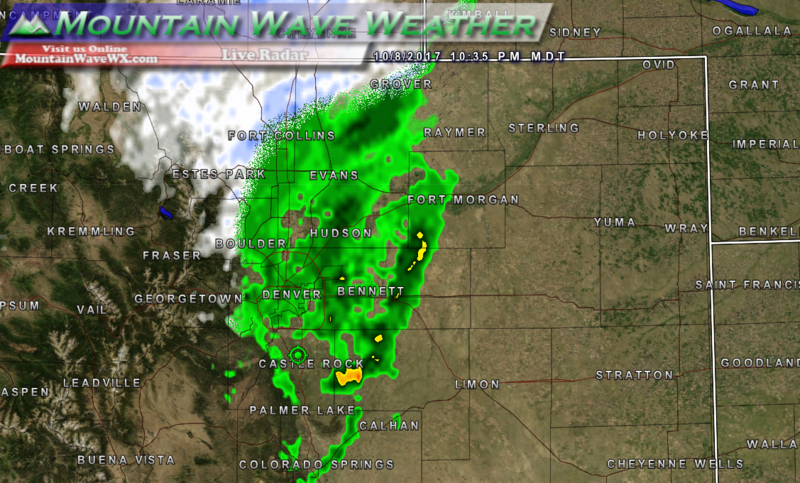 Still… other models keep the heavier snow up along the Palmer Divide. Given the uncertainty will keep our forecast the same until we see more data suggesting otherwise. Keep in mind, we still have Winter Storm Warnings and Advisories in the area starting late tonight and lasting through early afternoon on Monday. 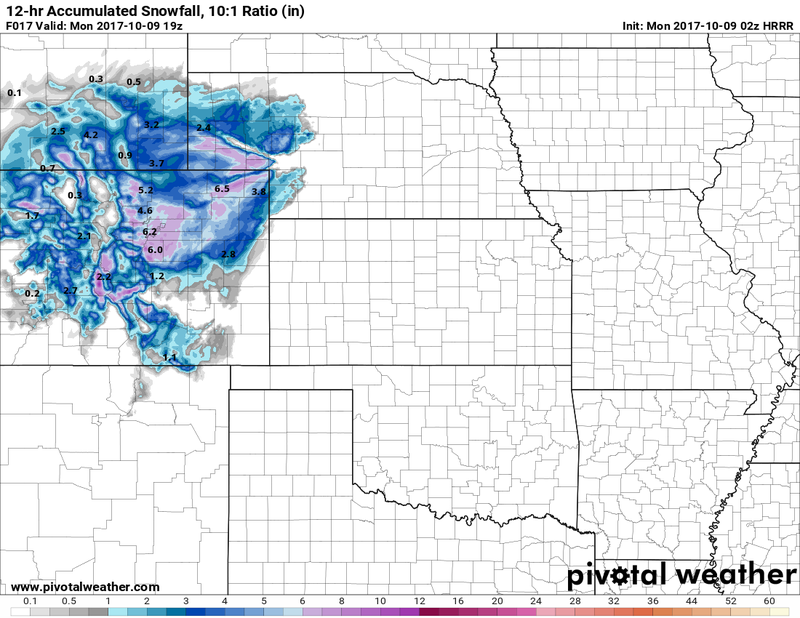 One interesting thing to note; despite some models shifting snow downwards for areas South of Denver… the HRRR model (a short term and fairly accurate model) still keeps snowfall amounts up for Denver and areas to the South. The good thing about this model is that it updates every hour… so we’ll be keeping an eye on it to see if it also begins to adjust snowfall totals downwards. 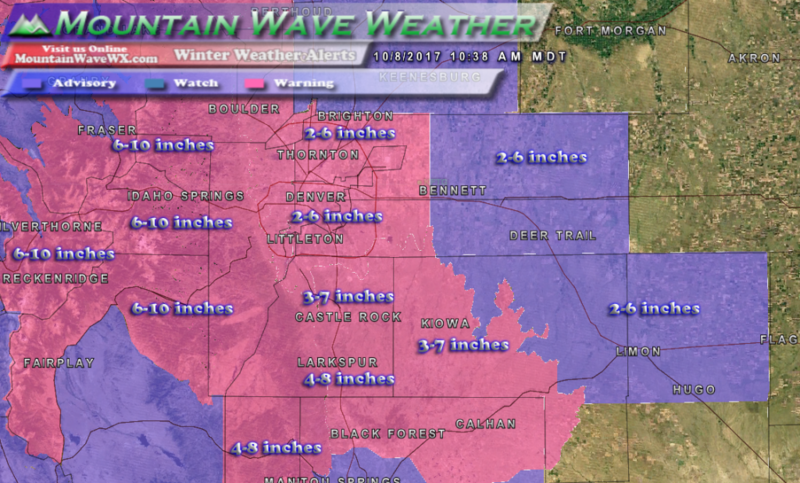 It’s worth noting as well that the models that have dropped snow totals have only dropped an inch or so for the Castle Rock area… if this verifies our snowfall would largely still remain in the forecast 3-7 inch range. As of the writing time of this article (10:30PM) we were just beginning to see the moisture and associated cold front moving through… you may have noticed the strong winds we just saw in and around Castle Rock. You’ll notice on the latest radar picture rain is moving into the area with the transition to snow already occurring in and around Fort Collins. We expect the snowfall transition in Castle Rock to be right around midnight… give or take an hour. For now, bunker down, enjoy the weather, turn the heat up and enjoy the evening. We’ll have another look at the storm on Monday morning. If you missed our forecast for the storm this morning you can read it here. The forecast is largely the same this evening.